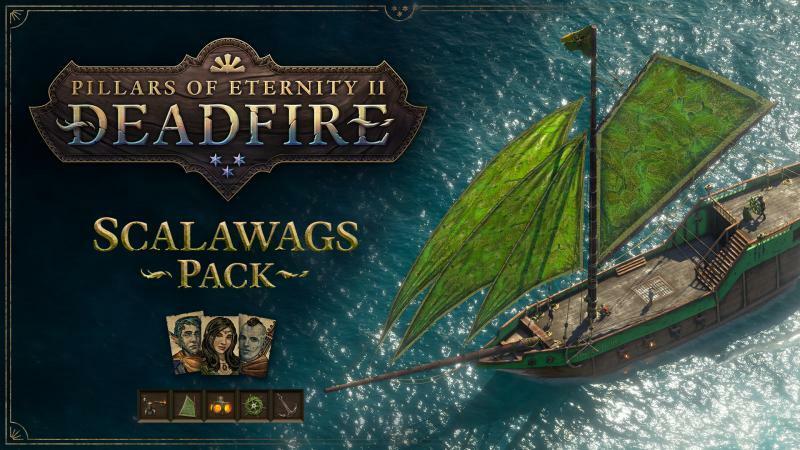 Obsidian Entertainment’s free post-launch DLC for Pillars of Eternity 2: Deadfire continues with the Scalawags Pack. Not only does it bring seven new crew members to potentially recruit but also offers a host of different ship upgrades. This is in addition to a new personality type called Savage which…well, you’ll have to try it for yourself. The new crew members can be found in the Deadfire Archipelago’s taverns. Meanwhile, the new ship upgrades encompass sails, cannons, anchors and so on which can be found at various shipwrights. These new features arrive with fixes like the game client not crashing when selecting “Quit to Desktop” anymore and crew members now healing properly when placed in the Resting Crew slot. The news feed will also no longer clip with the Title screen menu after quitting the latter. The Appearance customization window also had an issue where it wasn’t scaling down on smaller resolutions. This has also been fixed. For more information, check out the full patch notes here (beware of quest spoilers). Notes for patch 1.1.0.0035 which made changes to ship combat can be found here.